Mention “performance review” and even the most unflappable employees feel sparks of dread or resentment. No one likes to see his or her hard work and contributions reduced to a mere number or rating. Most managers don’t like the performance management process either. But there’s good news: Performance reviews are beginning to change. Nearly 90 percent of respondents to a 2015 Deloitte Human Capital survey said they plan to replace their performance review systems in the next 18 months. The best news? At least 6 percent of Fortune 500 companies have eliminated performance rankings altogether, including Accenture and GE. This trend was noted by CEB, a global company that provides best practice insights to other businesses. But if your workplace hasn’t yet fallen in line with this trend, your job reality is likely to include a performance review. So while you’re waiting for your organization to take action, here are five insider tips that will help you own it. Seeing “It’s time for your annual appraisal” in your email inbox can elicit the same response as spotting a snake on the hiking trail. Neuroscience research shows that employee evaluations trigger an involuntary “fight or flight” reaction. Take a few deep breaths to help you get unhooked from the instinctive stress. Try to think of the review as an opportunity to have a good, uninterrupted conversation with your manager. You can’t communicate very well if you’re drowning in defensiveness. Talking about your past performance may be a necessary evil during your performance review. But your review also gives you the opportunity to drive the discussion toward ways you can build upon your achievements in the years to come. Use this opportunity to discuss the tools and support that could help you develop and enhance your skills. Talk honestly with your manager about your goals, and recruit his or her help in getting you there. Nobody works alone. And it’s useful for both you and your manager to be reminded that good work doesn’t happen in isolation. Make sure to bring the big picture into the discussion by connecting your performance to projects, team contributions, departmental goals and organizational outcomes. Speak openly about situational and teamwork challenges you may be facing, and get your manager’s help to smooth the path for you in the year to come. Remember that managers have their own pressures, including the constraints inherent in the appraisal system and managing to set budgets. Complete transparency may not be possible, but do as much discovery as you can. Ask what criteria are driving the assessment. How does it limit what your manager can do? Understanding her pressures will help you not take it all personally. 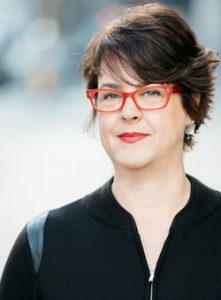 M. Tamra Chandler is the author of How Performance Management is Killing Performance — and What to Do About It (Berrett-Koehler, 2016) and a bona fide people maven. Her career is built on researching how people are motivated and developing effective ways for organizations to drive inspired performance. She’s also CEO and co-founder of a thriving, Seattle-based consultancy, PeopleFirm, one of Washington State’s fastest-growing businesses. Consulting Magazine twice has named her one of the top consultants in the U.S.